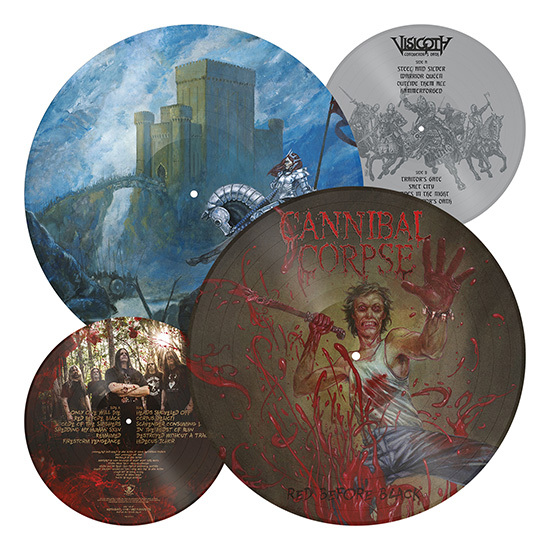 On November 23rd Metal Blade Records will release two limited Picture Discs of recent Metal Blade classics! Do not hesitate to pre-order your copies of one of the best CANNIBAL CORPSE albums, ‘Red Before Black‘ at either EMP or the Metal Blade ebay-store! The same goes for ‘Conqeror’s Oath‘ by VISIGOTH, an album that has been named a milestone for epic yet traditional heavy metal. True that is! Pre-order at either EMP or the Metal Blade ebay-store!